During the early 20th century, iconic concrete shells were built with a double curved geometry adapted to transferring loads through membrane forces. Today, monolithic shells are mostly replaced by grid shells consisting of cost-efficient lattice systems covered by planar glass or metal panes. These systems neither reach the structural efficiency of monolithic shells, nor are their architectural elegance reflected in a continuous curvature. 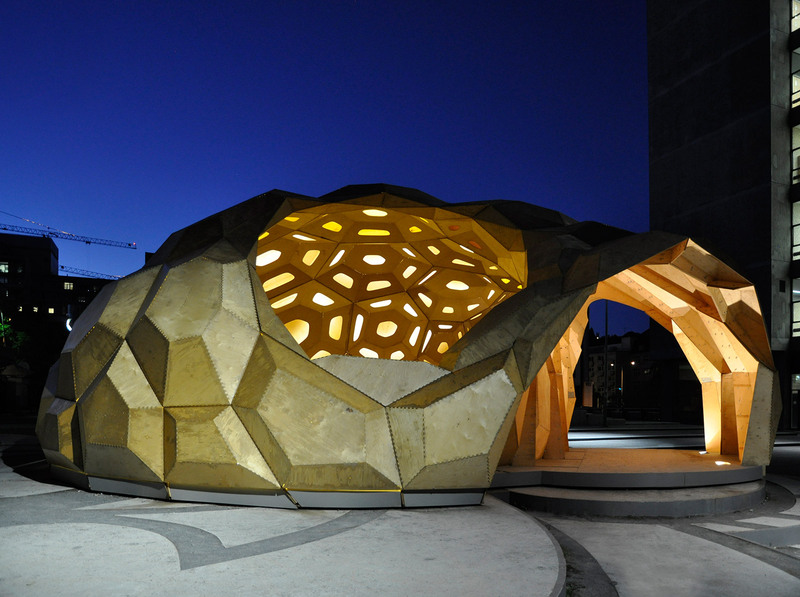 Assembling on-site »segmented« shells from prefabricated elements is an alternative. It reduces building time and costs and gives a smooth surface curvature. Structural segment joining is necessary but can conflict with the desired membrane state for load bearing by reducing bending stiffness in the joints and lowering the capacity to transfer normal or shear forces. Heterogeneities in membrane stiffness can also trigger the bending of homogeneous shells in a pure membrane state. The properties and arrangement of the joints are thus of crucial importance for the load-bearing behaviour of segmented shells. In the present project, the shells of sand dollars, highly adapted sea urchins, will be studied as a biological concept generator. These shells consist of modular polygonal plates linked at the edges by finger-like calcite protrusions and organic fibres. 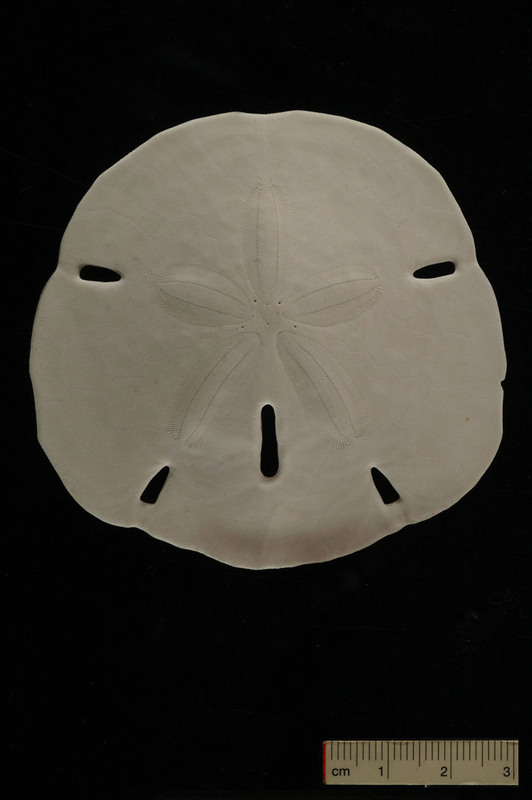 Sand dollars show a high geometric variety with respect to overall shape and plate arrangements. The high load-bearing capacity of the sand dollar skeleton is well adapted to high energy environments. It shows morphological features that are also required from many shells in building construction: a mainly flat curvature, apertures and column-like connections between the upper and the lower half of the shell. 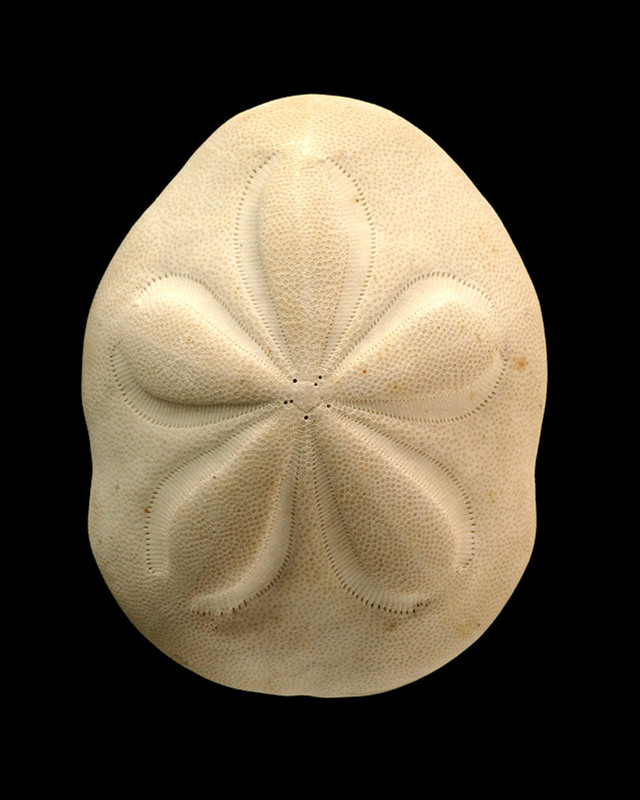 The sand dollar can thus serve as a suitable model for shells in building construction. 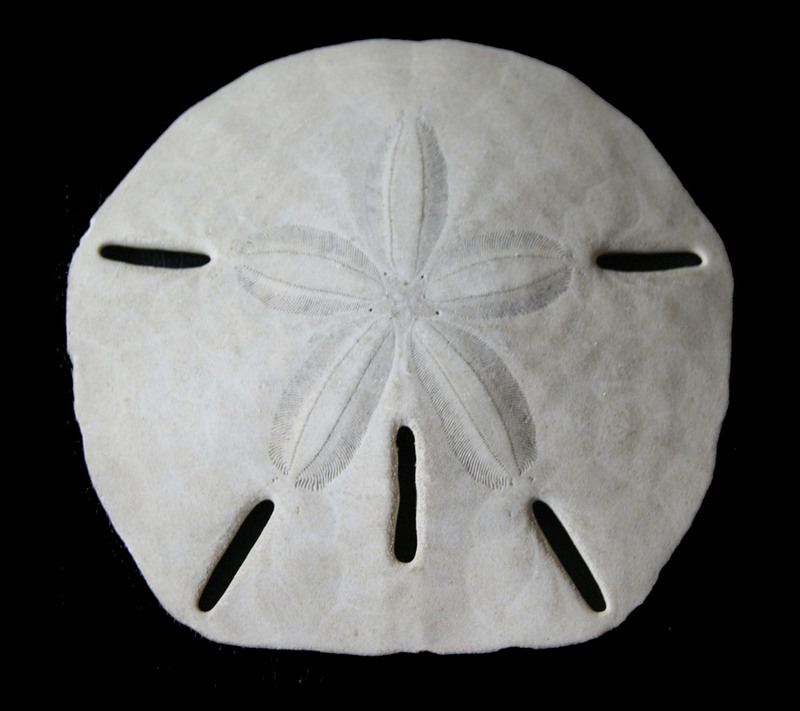 The proposed project will analyse the functional morphology of various sand dollars by focusing on the lightweight stereom of the plates, the connective joints and the role of inorganic and organic components. The material and structural properties will be used as a basis for a Finite Element Analysis (FEA) leading to a better understanding of the functional morphology of the shell. The FEA will be embedded into a design methodology for the layout of the joint patterns of segmented shells. The physical representation of the skeleton and joints by additive fabrication processes and the influence of additive manufacturing on the joints will be studied. Starting from evolutionary optimization methods available in the literature, the evolutionary tools for exploring design spaces in B02 and strategies for finding optimal, multi-functional and robust struc-tures in B05 will also be used in this context. Various conditions for load transfer and stiffness at the joints and geometrical restrictions for the segments will be considered as variable parameters in the process. This design methodology will be used to investigate whether the various geometries of sand dollar species are the result of an evolutionary adaption to the mechanical conditions of their respective habitats and to develop design recommendations for joint pattern layouts for segmented shells in building construction. Finally, the project aims to investigate possible ways to transfer the above-mentioned performative qualities and morphological principles of the sand dollar to building con­struction. Modular shell systems will be developed that allow high degrees of geometrical adaptability and structural efficiency attributable to component differentiation.